This is a very common mistake lots of people make. They don’t apply enough sunscreen! It’s recommended to use at least six full teaspoons to cover the body of an average adult. How much do you apply? Dotting a little bit of sunscreen on your limbs and face is not enough. When you don’t apply enough sunscreen, the SPF you get is much less than stated on a bottle. So also if the sunscreen is SPF30, applying only a little bit may result in SPF5 or SPF10 sun protection. This means that you shouldn’t stay in the sun for very long otherwise you will burn very quickly. So don’t make this mistake and always apply sunscreen all over your body generously. Another very common mistake most of us are guilty of is forgetting to apply sunscreen everywhere. It’s very easy to do this especially if you have nobody to help you with the sunscreen application. What I recommend is to stand in front of the mirror when applying the sunscreen and not skipping body parts such as neck and below, back of the neck, ears, nose, eye area and the back of the arms. And don’t forget your lips! You can buy a dedicated lip balm with an SPF for that. 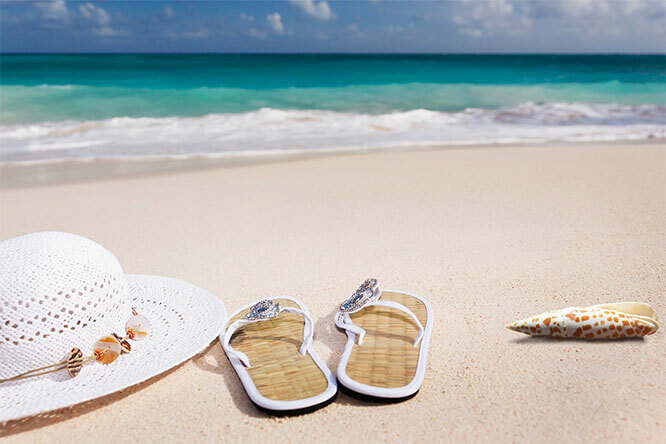 When applying a sunscreen to the lower part of the body, don’t forget feet (when wearing flip-flops) and back of your legs. Trust me, back of your legs can and will burn in the sun if you don’t protect them. Finally, ask somebody to do your back (when you are in your swimwear) – ask them to apply generously and not to skip bits where naked skin meets your swimwear. You have to remember that there is no sunscreen in this world that will give you 100% protection from the sun. An SPF30 sunscreen, for example, blocks about 97% UVB rays (those that cause sunburn) and an SPF45 product blocks about 98% of rays. Sunscreens with higher SPF ratings block slightly more UVB rays, but none offers 100% protection. So keep that in mind and try to avoid the strongest sun which is between 11am and 4pm. This is the time when UVB light is at its peak and the sun’s rays are more intense and damaging to the skin and eyes. You can burn quicker in the strong sun, also if you are wearing a sunscreen. When you are having fun in the sun it’s very easy to forget to re-apply your sunscreen. But try not to otherwise you risk sunburn. Re-apply at least every 2 hours and after swimming. Yes, many sunscreens are waterproof but it’s still recommended to re-apply as some of the sunscreen may wash off a bit when you are in the water. Also, don’t forget that you can easily remove some of the sunscreen when towelling, sitting down, hugging people or even when lying down on a towel. So be aware of that and re-apply when needed. 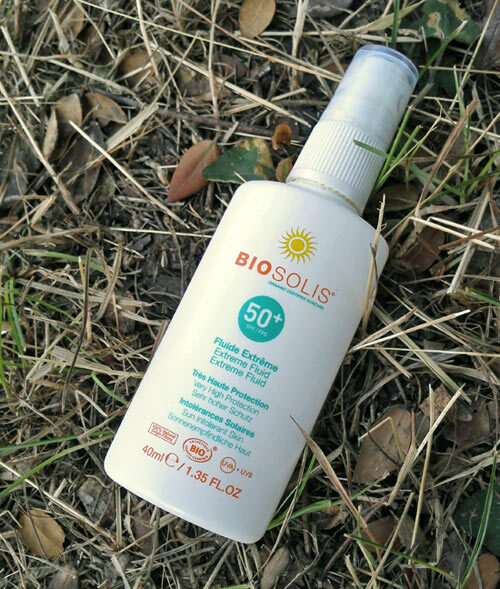 Do you think that if you stay in the shade you will be protected from the sun without applying a sunscreen? Wrong! While shade will offer you some protection from the sun, this is not a 100% protection. UVB rays can reflect from various surfaces and still land on your skin, also if you are in a shade. So while you are sitting under a tree or umbrella, UV rays bounce back from UV-reflective surfaces such as dry sand, concrete and water. Without knowing your skin is getting damaged and before you know it you get a sunburn. So don’t make this mistake, thinking that the shade will protect you from the sun. Yes, it does offer some protection but don’t forget to apply a sunscreen as well to prevent sunburn. If you really want to prevent getting sunburnt you should not forget about the power of covering up. This is especially important if you are really pale and burn easily. Cover your exposed skin with bright- or dark-coloured, tightly woven fabrics to ensure better protection from the sun. Tightly woven fabrics block more sun rays and darker material has a higher ultraviolet protection factor (UPF) rating than the lighter material. So don’t forget about the clothing when you are in the sun, just make sure you choose darker fabrics for a better protection. Also, wear a hat to stop the sun shining directly onto your face. Not all sunscreens are created equal and some are actually of really poor quality. You think you are buying an SPF30 product but in real life, it’s much less than that. So you trust that sunscreen and at the end, you end up getting sunburnt even if you haven’t spent that much time in the sun. There was a study in 2016 by Consumer Reports experts which showed that 4 in 10 sunscreens fall short on SPF and many other studies have also shown that many sunscreens fail to meet SPF claims. Go for a well-trusted sunscreen and established brands to make sure you buy a good quality. I recommend you go for a natural sunscreen to avoid certain harmful chemicals – sunscreens from Green People are great. This is a common misconception some people believe in. If you are in a car and driving or working in an office and get exposed to the sun, some people think you cannot burn. Not true! Harmful UV sun rays still penetrate the glass so you can still get burnt if you spend a long time in the car or behind a window when the UV is high. So don’t believe in myths and apply a sunscreen also when you are in the car driving or working in an office. When it’s cloudy, don’t be a fool thinking you don’t need a sunscreen. You do, actually! The UV radiation may not be that high when it’s cloudy but it’s still there and you can still burn so don’t forget your sunscreen. Sunscreens don’t really have an exact use-by date but you should be aware that once you open a bottle of sunscreen, the formula will slowly start to degrade and you should only use it for a certain period of time, as stated on a bottle. Once that period has passed, the sunscreen will be much less effective and using that sunscreen could quickly result in a sunburn. But how do you know how long you can use the sunscreen for? Look for the sign on the bottle which looks like the top of the open tube with a number next to it. This number tells you tells you how many months you can use the sunscreen for after opening. Normally it’s “12 M” (12 months) but some more natural sunscreens may say “6 M”. The best is to buy a new sunscreen every year to ensure its effectiveness. So there you have it, some of the mistakes people make when trying to prevent sunburn. Have you ever made any of these mistakes? And are you aware of all the measures you should take to prevent sunburn?